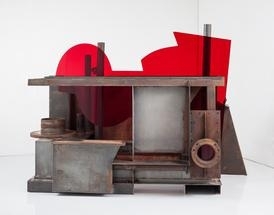 Caro in Yorkshire commemorates the artist's extraordinary career with two distinct yet complementary exhibitions presented at The Hepworth Wakefield and Yorkshire Sculpture Park from July 18 to November 1, 2015, along with a monumental work sited in Victoria Gardens, Leeds. 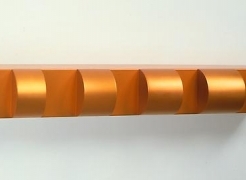 The exhibition has been developed with the support of Caro’s family and studio, the Yorkshire Sculpture Triangle partnership, formed by the Henry Moore Institute, The Hepworth Wakefield, Leeds Art Gallery and Yorkshire Sculpture Park. "His monumental forms make you dance, his table-top works are in drag – and his shapes are so simple you can’t believe he dared. 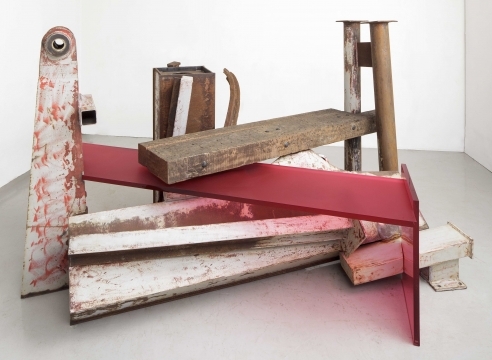 As a vast two-site retrospective proves, Caro’s best work remains audacious, alluring and disarming..."
"Like all great artists, Caro makes you see the world around you in a completely different way."